Should You Sell Your Bucks County Home in 2019? Bucks County, named in 1682 after the English county Buckinghamshire, is located in Southeast Pennsylvania and to the Northeast of Philadelphia. Charming villages and historic sites are found throughout the area, as well as desirable modern conveniences such as world class shopping and dining, award winning schools and various outdoor activities to partake in year round. 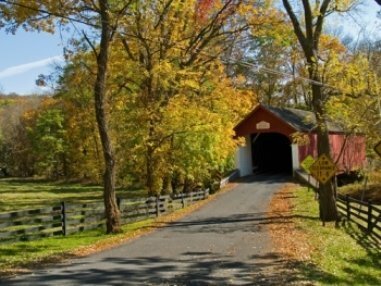 The variety of different areas and homes for sale in Bucks County PA makes it easy to find your perfect Bucks County real estate in a great community. On our site, you can browse a variety of different types of properties, including Bucks County houses, condos and townhomes, as well as luxury properties, new construction homes and active adult/55+ communities for sale. Choose a community and start browsing for Bucks County properties and homes for sale below. If you're interested in learning more about Bucks County real estate, read more or you can contact Russell Volk, Realtor®. Click an area to start your search for houses for sale in Bucks County PA. Our site offers complete information on each area. Register for free to use the advanced search features of our site. You'll be able to browse for Bucks County listings and save your favorite properties for viewing later. By signing up, you'll also be able to customize your searches and receive emails when new Bucks County homes for sale hit the market. Our site is all about Bucks County PA real estate and was designed with the sole purpose of helping buyers and sellers in the area. On the top menu bar you'll find links to available listings, information on the different communities and their listings, our blog, and about Russell. Visit the selling page for information on selling your Bucks County home and to learn more about Russell's unique custom marketing plans. The buying page has valuable material for those looking to purchase Bucks County property and includes helpful tools like a mortgage calculator and details on life in the area. For sellers, Russell offers a strong internet presence and user-friendly website to make sure your home is seen by homebuyers around the world. After taking professional photographs of each property, Russell begins aggressively marketing your home, distributing the listing to hundreds of websites and tapping into his database full of thousands of Bucks County real estate buyers before the listing even hits the market. Custom marketing plans are done for every home seller, tailored to your specific Bucks County property type, and every house will receive maximum internet exposure. If you're thinking of putting your Bucks County house up for sale, start by using our no-obligation, no-hassle, free market analysis of your home. 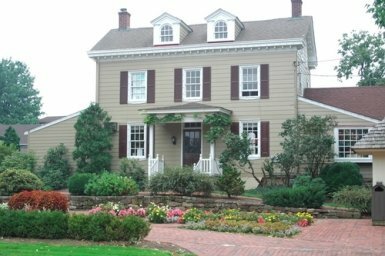 This way you'll know your Bucks County house’s current market value and a suggested listing price. New homes in Bucks County, PA come on the market daily, and as your representative, Russell will be in constant contact with sellers, real estate agents and brokers to make sure that you see all of these new listings immediately, whether or not they're made public yet. With experience in helping out of town, out of state, and out of country buyers find their perfect Bucks County home, Russell uses a personal approach to make buyers feel at ease, while working hard to consistently close transactions on time. Contact Russell Volk for the highest level of customer service and expert advice on real estate in Bucks County, PA. You'll receive a personal response within 1 hour, not an automated email, but actual answers to your questions. Always looking after your best interests for all transactions, you'll be informed and educated every step of the way. My team is dedicated to putting our experience and local knowledge to work for you in all steps of your real estate transaction, from start to finish. Find out why my team is one of the most respected group of real estate professionals for buying and selling in Bucks County. We deliver the very best in Bucks County real estate, because you deserve no less.